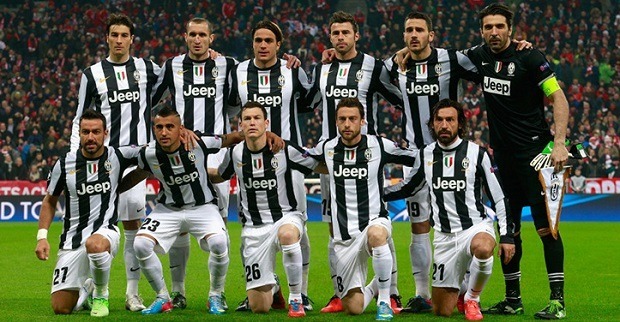 Juventus FC! Team of the Century? Home > Football > Juventus F.C! Team of the Century? No, we are not in the future, and no one can look ahead to the rest of the 21st century with a crystal ball, but we could have the first team in the history of Italian Serie A to topple the 100 point mark in a campaign. Sitting with 99 points and a single home match left on the schedule this weekend with Cagliari, Juventus has one last task to complete the season — do something that has never happened before and go a perfect 19 – 0 at Stadio Olimpico and smash the former record held by Inter Milan at 97 points in the 2006-07 campaign. Having already achieved the best all-time record with a match to go, the ‘Old Lady’ is set to obtain the century mark. La Vecchia Signora, Juventus FC, has set their achievements and accolades on the back of Gianluigi Buffon, the Italian net minder who spent six seasons in Parma before coming to Juve for the 2001-02 Season and set milestones in Top Flight Serie A for the next 13 seasons. 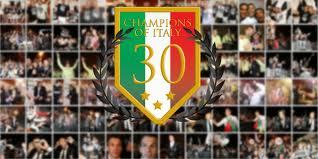 With a World Cup trophy in hand from the 2006 event in Germany, the words ‘world class’ will follow Buffon in history. He has led this Juventus Club to more trophies than you can fit in your trophy case. With announcements for the 2014 awards to come, we will go on a limb and say that Buffon will have more hardware to store somewhere on those shelves. He can not do it all himself, but he is surrounded by a Mid-field and Defense that has shown how to successfully shut down the opposition for years in Top Flight Serie A. Experience the likes of Andrea Pirlo, which can not be overly stated enough the class and leadership he provides. With his one-touch precision passing and free-kick extraordinaire, Andrea Pirlo is still one of the best footballers in Italian Football, and one of the most dangerous players with free-kicks around the box, period. When you are given the nickname ‘The Maestro’ you know you are to be taken seriously. He has won more matches with his right foot from just outside the box for as long as his career has been, and he is also a 2006 world champion and will be with Buffon again in the 2014 Event coming in June. Georgio Chiellini is finishing his 9th season for the Zebras, and has been, and will be, an anchor of a squad that has found its way to once again be among the best in Serie A. He has also been elected to the Italian team for the 2014 World Cup in June — with 2 of his friends on the Juventus back line in Andrea Barzagli and Leonardo Bonucci — to attempt to win its 5th World Cup in Italy’s history, following another Scudetto. Carlos Tevez did all that was asked of him when he came over from Manchester City, which hit Juventus with a £10 million transfer bonus, combined with provisions of wages & bonuses that were noted on his contract with Man City Forward in his final season of his 5 year-deal, was estimated to save Manchester City about £27 million. This team was built to win and that is exactly what it did in the 2013-14 campaign. Now they are one point away from becoming the first club to eclipse the century mark in an Italian Serie A season. Now that this campaign is coming to an end, there are talks in the news that surround all 5 players about if any or all of them will be back for the 2014-15 upcoming season in August or beyond. Getting back to the question of whether or not this team is the best team in the 21st century, there are 14 champions in the first 14 years of the 21st century and Juventus has won 7 of those 14 league titles. Will they eclipse 100 point mark in 2013-14? That we will know sooner than later, come Sunday May 18th, 2014. Will they be the best club in the 21st century when 2099 comes and goes? Only time will tell, but Juventus is definitely making their argument known that they are the dynasty of the century right now. Breaking the Italian Serie A all-time points total, certainly won’t hurt that argument for historians to look back on! Answer? Yes they can! 102 Points with a 3 – 0 beat down of Cagliari to finish the campaign.